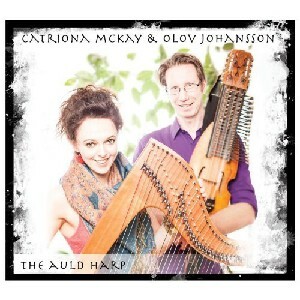 The Auld Harp, The Scottish Music Shop - The Best Selection of Scottish CDs and Scottish DVDs. Two Harp Traditions Meet! Internationally recognised for their individual harp talents, combine beautifully on their second collabaration -The Auld Harp. Catriona McKay (Scottish Harp) and Olov Johansson (Swedish nyckelharpa ). Catriona, from Fiddlers’ Bid, a Celtic harper like no other, and Olov from the band. Vasen break new ground with their stunning interplay and beautiful melodies.